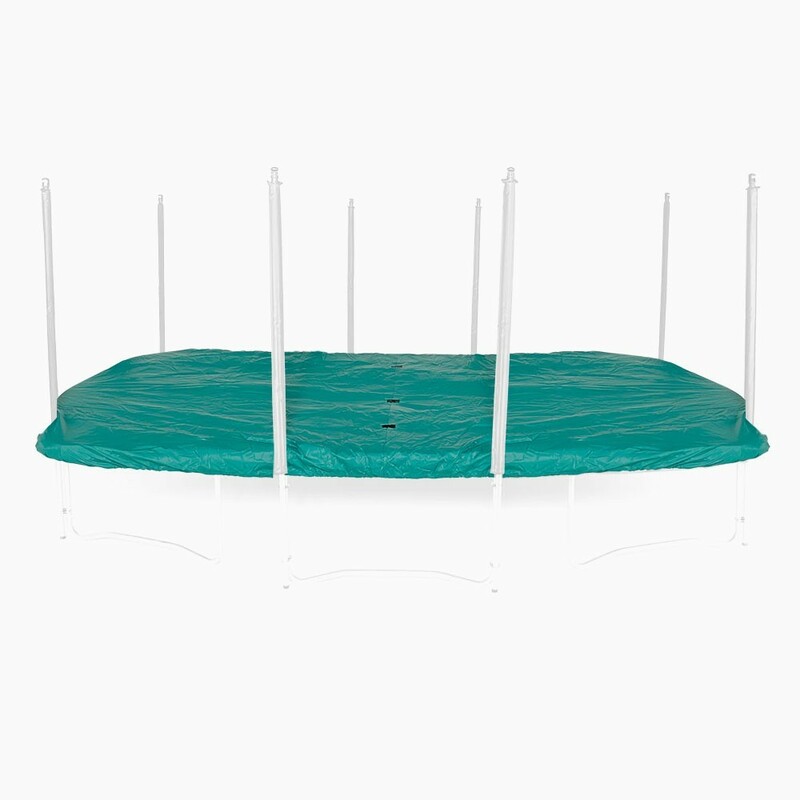 - It is adapted to the Apollo Sport 500 trampoline (5.10 by 3.25 m). - This rectangular cover has been designed using fabric coated in PVC making it highly resistant to wear and tear and also waterproof. The dense PVC used is very similar to the PVC used on lorry tarpaulins, proving its quality and efficiency. 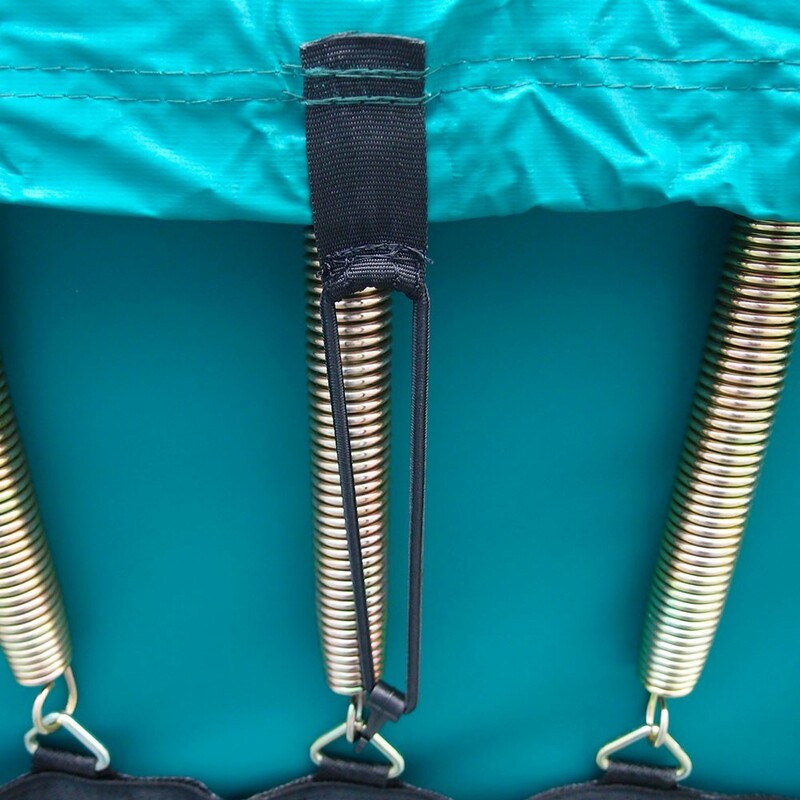 - The cover is attached to the trampoline under the frame pad using a wide elastic, ensuring that it is tightly fitted under the trampoline. Hooks are also used to make sure the cover is tightly in place and cannot move. 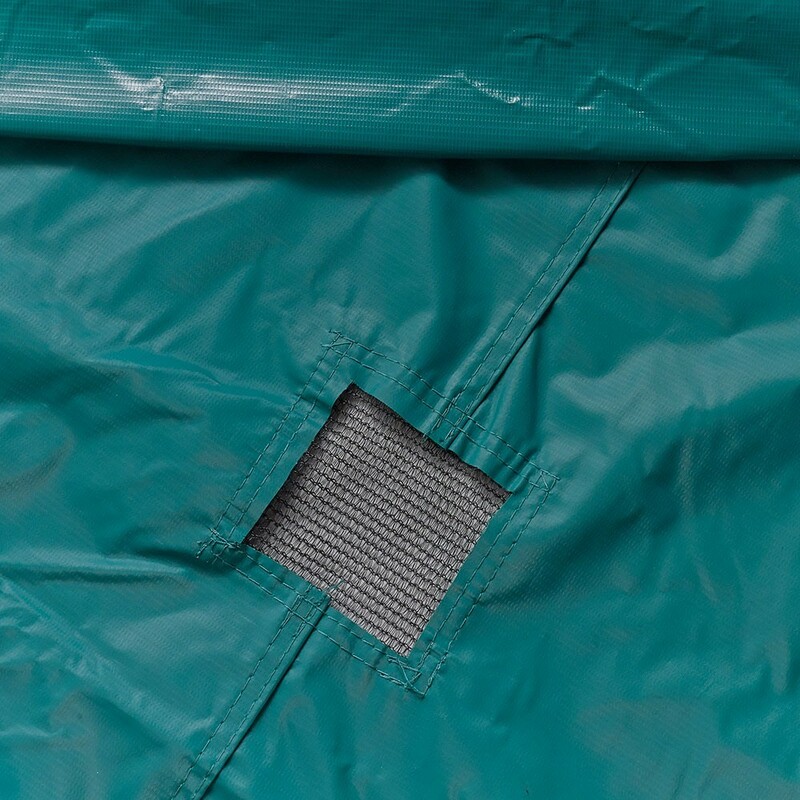 Your trampoline’s jumping mat, frame pad and enclosure, if you have one, are perfectly covered and protected. 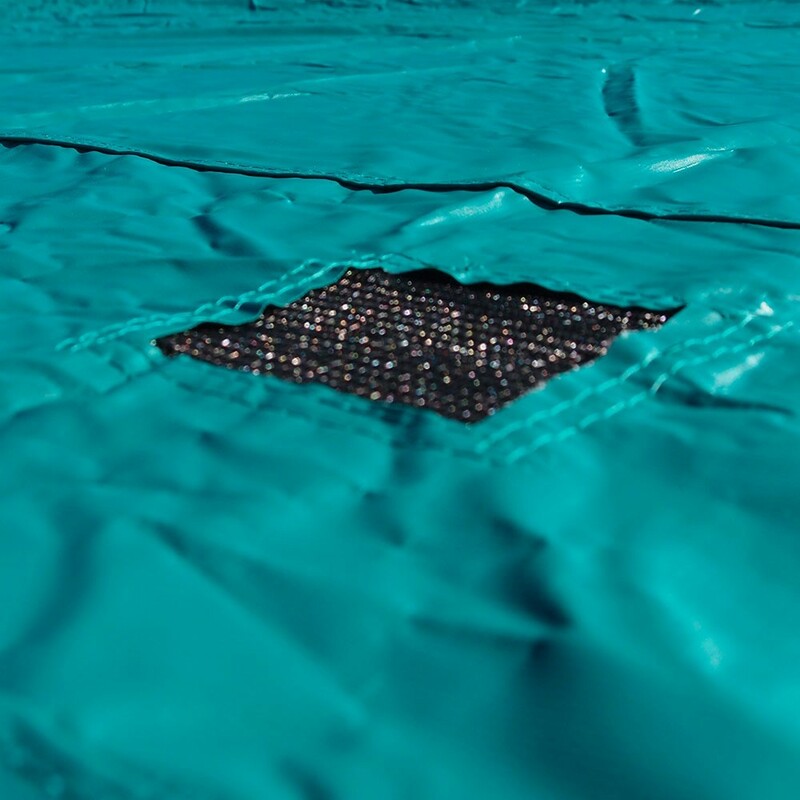 - In addition, water evacuation holes have been used on top of the cover to stop water from pooling on your trampoline. 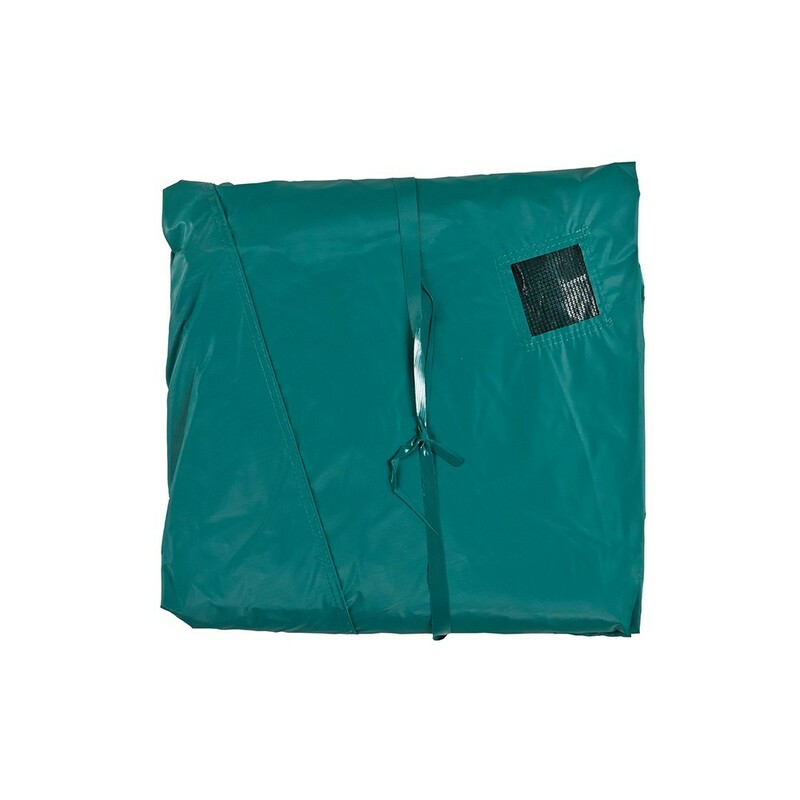 This protects the springs and the jumping mat from large volumes of water, which would deteriorate and deform them. 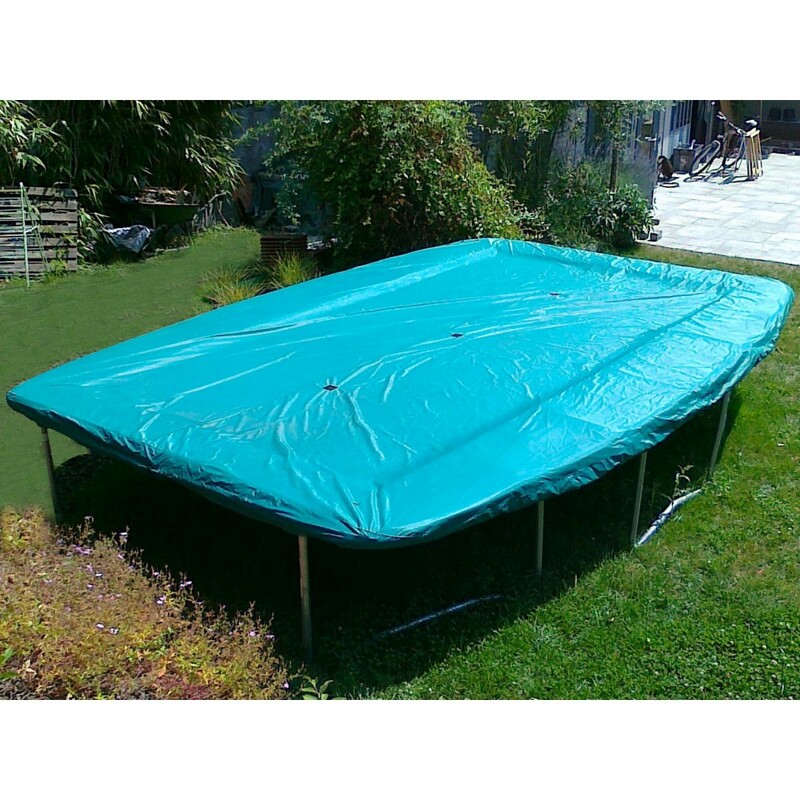 - The cover is green to make sure it blends perfectly into your garden. This cover is not only for winter use. 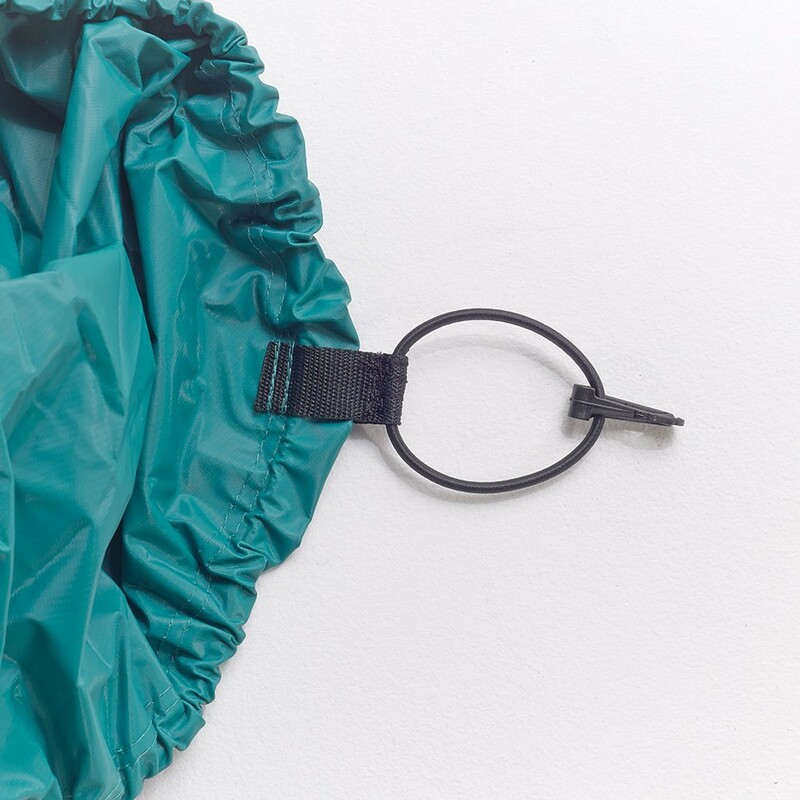 It is perfectly adapted to all seasons as it has a UV protective coating, which allows it to be resistant to the strong summer sun. Furthermore, it covers the trampoline completely, making sure it stays clean when not in use.